On television, it's looking a lot like the early '90s again. NBC is making a sequel to "Coach." ABC is developing a new "Muppets Show." Fox is reviving "The X-Files." Disney Channel is bringing back "Duck Tales." 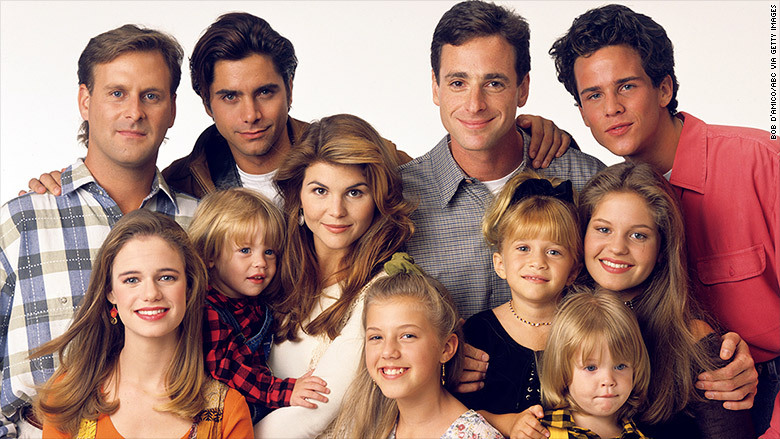 And now Netflix is ordering a continuation of "Full House," to be titled "Fuller House." So at a time of radical transformation in the television business, as some channels embrace a streaming future and others enter it more reluctantly, viewers are getting a blast from the past. The remakes make a certain amount of sense -- shows like "The X-Files" are established franchises that everyone recognizes. But there's always a risk, of course, that the second lives for these shows won't live up to the first, breeding disappointment. Maybe television executives are just longing to return to the days when everyone watched TV the same way at the same time. 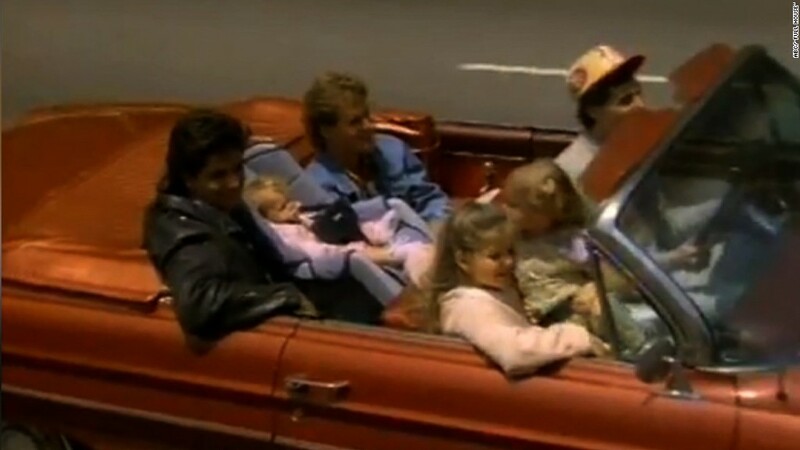 "Full House," for instance, was a beloved part of ABC's "TGIF" lineup of Friday night sitcoms for many years. Netflix (NFLX) confirmed on Tuesday morning that it is moving forward with a 13-episode season of "Fuller House." Rumors of the reunion hit the Internet earlier this month, sending fans of the original ABC series into a tizzy. D.J., Stephanie and Uncle Jesse are coming back for sure: The new series will star Candace Cameron-Bure, who played oldest sister DJ, along with Jodie Sweetin, who played middle sister Stephanie, and Andrea Barber, a/k/a the annoying neighbor Kimmy Gibbler. Everyone's favorite musical uncle Jesse will also return, with star John Stamos reprising the role in guest spots. In a press release, Netflix said it is also in discussions with other stars from the original, like Bob Saget, Mary-Kate and Ashley Olsen and Dave Coulier. The reboot will focus on D.J. 's life as a widowed mom who has her best friend Kimmy and sister Stephanie move in to help D.J. run her own full house. "As big fans of the original 'Full House,' we are thrilled to be able to introduce 'Fuller House''s new narrative to existing fans, who grew up on the original, as well as a new generation of global viewers that have grown up with the Tanners in syndication," Cindy Holland, the vice president of original content for Netflix, said in a statement. That's precisely why remakes are so appealing to television networks: There's the potential to hook fans who are nostalgic about watching the Tanner family 20 years ago, plus brand-new viewers who never watched the first time around. That's especially valuable now, with more channels and shows competing for attention than ever before. NBC has so much confidence in its sequel to Craig T. Nelson's "Coach" that it ordered 13 episodes last month without producing a pilot episode first. Nelson will be back for the new sitcom. Fox is equally optimistic about "The X-Files." It's bringing the sci-fi series back as a six-episode special event. "I think of it as a 13-year commercial break," "X-Files" creator Chris Carter said when Fox ordered the new episodes. Disney Channel is also upping its nostalgic factor by announcing in February that it's bringing back the beloved 1980's animated series, "Duck Tales." The latest adventures of Scrooge McDuck and his nephews will return to TV on Disney XD in 2017. These projects can be awfully complicated, though. Last fall Showtime announced a plan to bring back "Twin Peaks," but earlier this month one of the two creators of the 1990s classic, David Lynch, backed out. "I left," he wrote on Twitter, "because not enough money was offered to do the script the way I felt it needed to be done." Showtime said in a statement, "We continue to hold out hope that we can bring it back in all its glory with both of its extraordinary creators, David Lynch and Mark Frost, at its helm." "Boy Meets World," "90210" and "Arrested Development" were also brought back to life in recent years. But remakes are never a sure bet. For every reboot of "Battlestar Galactica" and "Hawaii Five-0," there's also "Bionic Woman" and "Ironside" -- two examples of remakes that didn't have as long a shelf life as the shows they were based on.